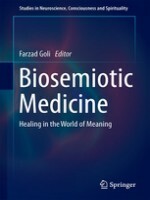 This book presents an interpretation of pharmaceutical, surgical and psychotherapeutic interventions based on a univalent metalanguage: biosemiotics. It proposes that a metalanguage for the physical, mental, social, and cultural aspects of health and medicine could bring all parts and aspects of human life together and thus shape a picture of the human being as a whole, made up from the heterogeneous images of the vast variety of sciences and technologies in medicine discourse. The book adopts a biosemiotics clinical model of thinking because, similar to the ancient principle of alchemy, tam ethice quam physice, everything in this model is physical as much as it is mental. Signs in the forms of vibrations, molecules, cells, words, images, reflections and rites conform cultural, mental, physical, and social phenomena. The book decodes healing, dealing with health, illness and therapy by emphasizing the first-person experience as well as objective events. It allows readers to follow the energy-information flows through and between embodied minds and to see how they form physiological functions such as our emotions and narratives.